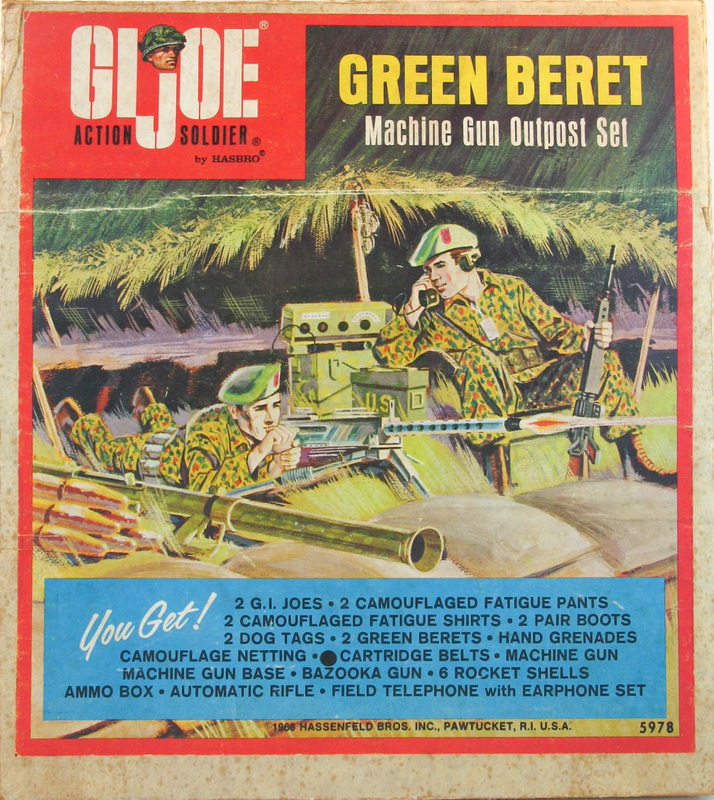 Another 1966 Sears exclusive (along with the Forward Observer Set), the Green Beret Machine Gun Outpost (5978) has the distinction of being the only set to come with two GI Joe figures, along with a great selection of equipment. 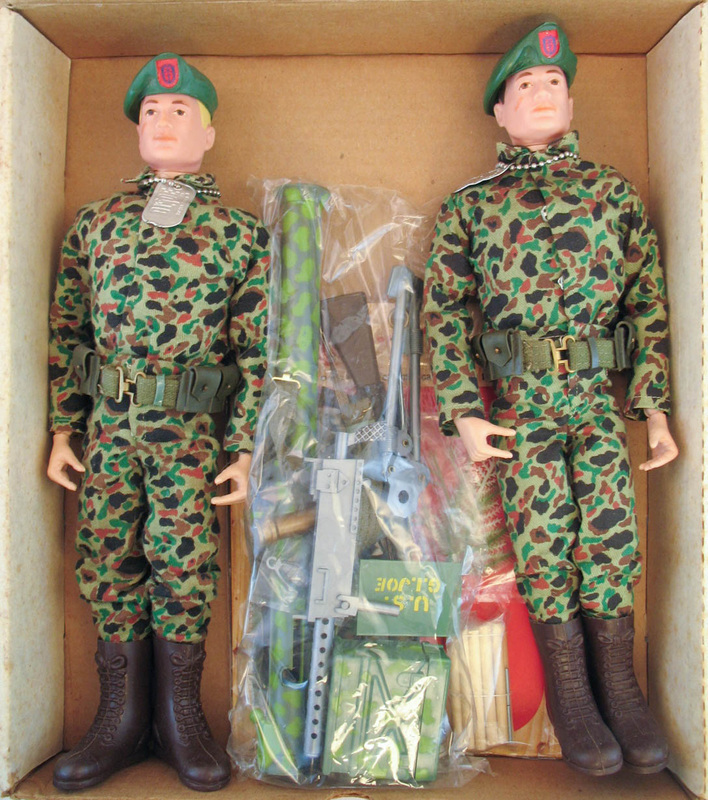 The set in the box above has an added cartridge belt. If you look at the box art above it, you'll see that Hasbro intended to include two at the time the box art was printed, but changed their minds, so the number '2' next to cartridge belts was over printed in black. This adaptation of existing litho art shows up on a number of different boxes when there was a change in contents. A group of bagged accessories from this set were found several years ago, though they are tough to find sealed today. 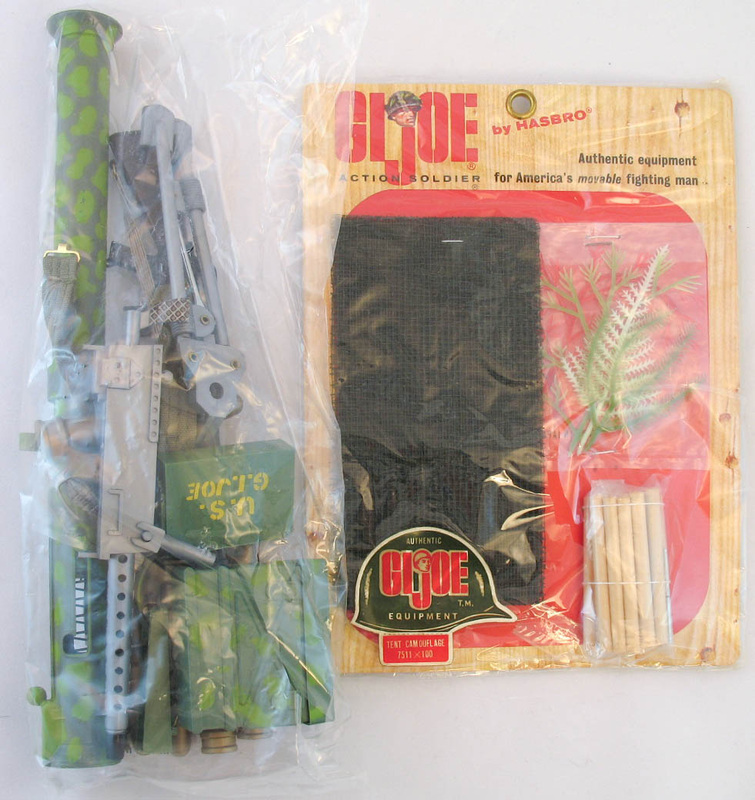 Left, the accessory bag along with the camouflage netting card that came with the set.